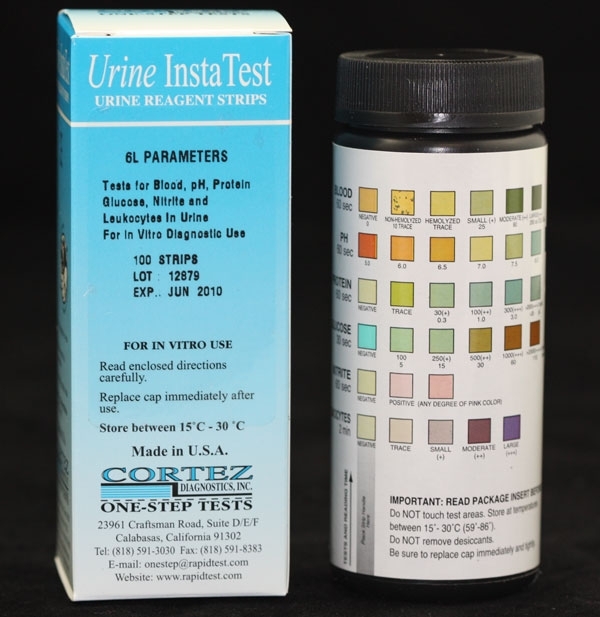 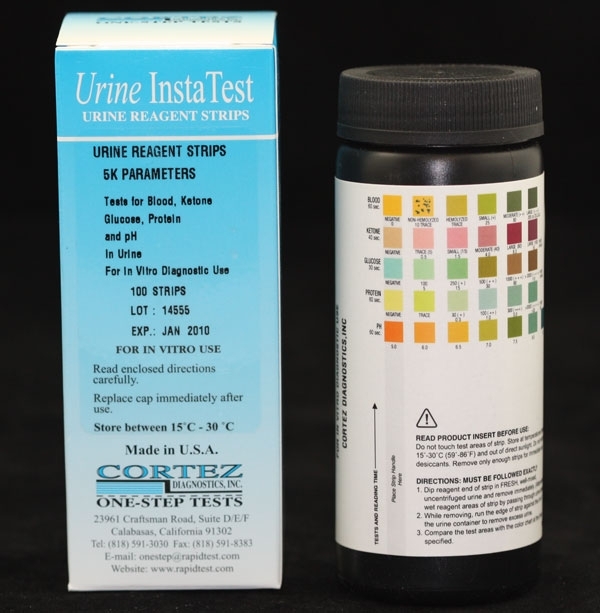 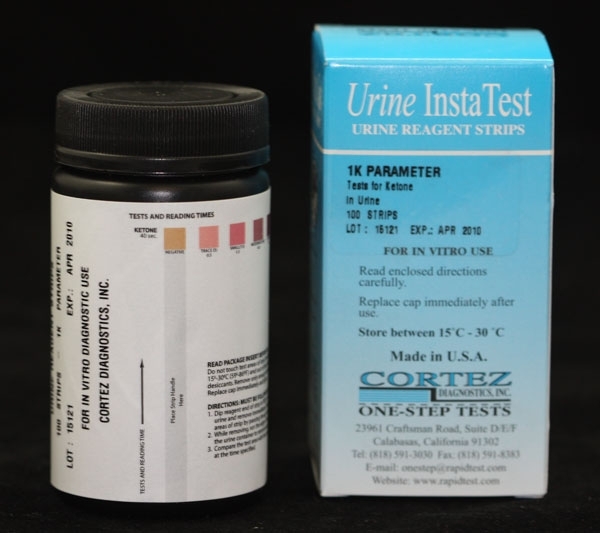 Los Angeles-based Diagnostic Automation/Cortez Diagnostics, Inc. offers a Urine Reagent Strip (Glucose-Protein-pH) Rapid Test for the semi-quantitative and qualitative detection of Glucose, Protein, and pH in urine.Â The Urine Reagent Strip for Urinalysis is for in-vitro diagnostic use only. 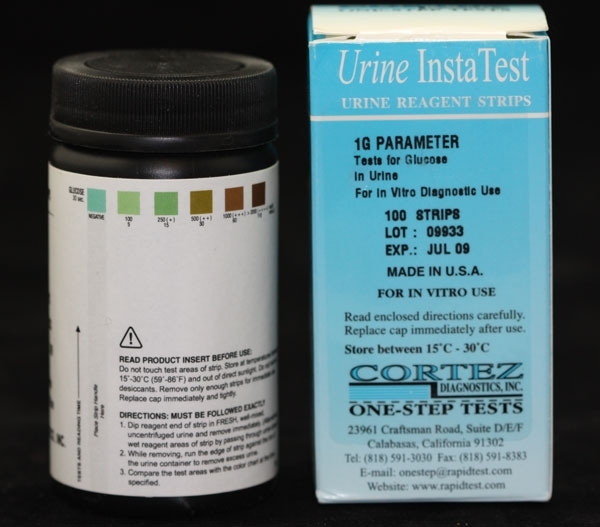 The Urine Reagent Strip (Glucose) Rapid Test is based on a double sequential enzyme reaction.Â One enzyme, glucose oxidase, catalyzes the formation of glucomic acid and hydrogen peroxide from the oxidation of glucose.Â A second enzyme, peroxidase, catalyzes the reaction of hydrogen peroxide with potassium iodide chromogen to oxidize the chromogen to colors ranging from blue-green to greenish-brown through brown and dark brown.Â The test area is specific for glucose; no substance excreted in urine other than glucose is known to give a positive result.Â Approximately 100 mg/dl glucose in urine is detectable. 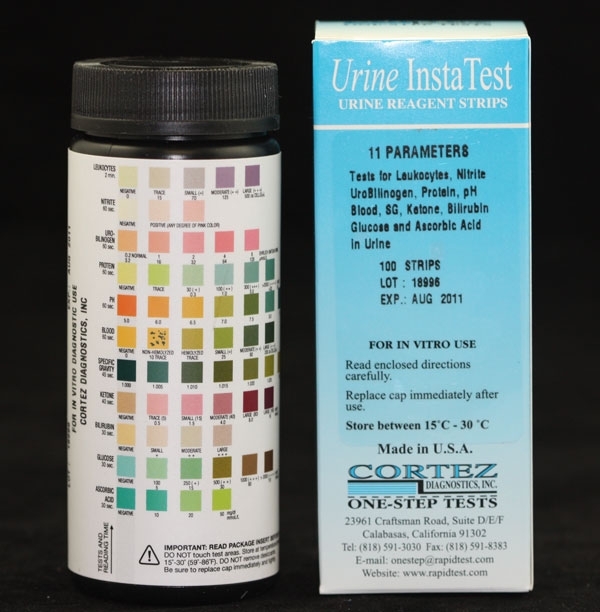 The Urine Reagent Strip (Protein) Rapid Test is based on the protein error-of-indicator principle.Â At a constant pH, the development of any green color is due to the presence of protein.Â Colors range from yellow for a Negative reaction, to yellow-green and green to blue-green for a Positive reaction.Â The test area is more sensitive to albumin than to globulin, hemoglobin, Bence-Jones proteins, and mucoprotein; a negative result does not rule out the presence of these other proteins.Â The test area is sensitive to 15 mg/dl albumin.Â Depending on the inherent variability in clinical urine, lesser concentration may be detected under certain conditions. 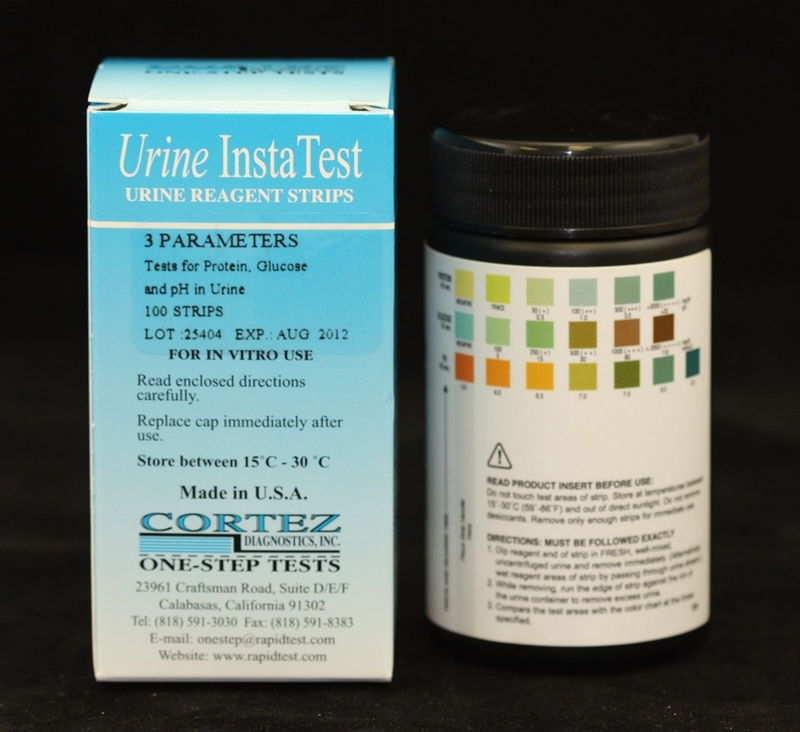 See Urine Reagent Strips for Urinalysis (Glucose-Protein-pH) Product Insert for more specific details on preparation, procedures, storage, quality control, and interpretation of test results.